“Winning takes talent, to repeat takes character”, or so said the late John Wooden, the legendary UCLA basketball coach. 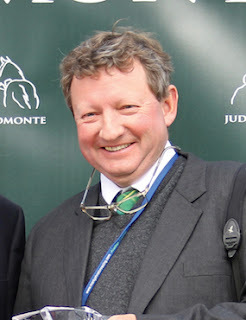 One man who clearly has both, in spades, is racehorse trainer Mark Johnston. In October 2017, Johnston became just the third British trainer ever, under either code, to train 4,000 winners. Only Richard Hannon Snr and Martin Pipe (Father of David Pipe) have trained more and, if fate decrees, it’s odds-on that Johnston will become the most successful trainer, numerically, in the history of British racing during the 2018 Flat season. The victory of the two-year-old, Corsica, at Ayr in October 2009 made him the first British Flat trainer to saddle over 200 winners in a season and he has since repeated the feat six times. He also has the distinction of having trained at least 100 winners for the last 24 seasons in a row. In 1998, Johnston bought Kingsley House in Middleham, North Yorkshire, which he subsequently developed into Kingsley Park, a major training complex covering 270 acres. Notable horses that he has trained over the years include Mister Baileys, winner of the 2,000 Guineas in 1994, Attraction, winner of the 1,000 Guineas in 2004, Shamardal, winner of the Dewhurst Stakes and Cartier Two-Year-Old Colt in 2004 and, of course, Double Trigger, winner of 14 races, including the Ascot Gold Cup, the Doncaster Cup (three times) and the Goodwood Cup (three times), between 1995 and 1998. Johnston has some strong, and controversial, views on the way horse racing is presented to the general public. In 2010, he told the BBC, “We tend to market it [horse racing] purely as a betting industry. The two industries are mutually dependent, but you have to market the sport as a sport. We should concentrate on that first and let the betting follow.” In 2016, he also told the Racing Post that ITV “should get rid of all coverage of betting” from its terrestrial broadcasts of horse racing.